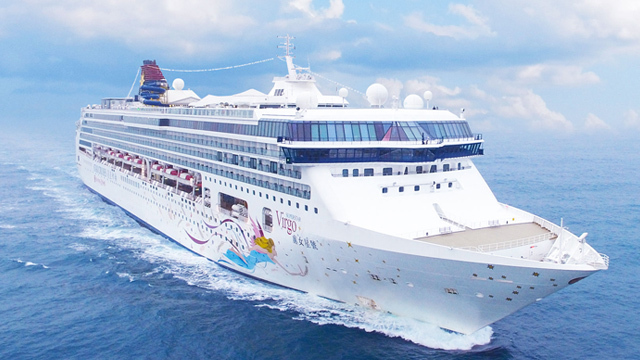 Go on a staycation with the whole family-furbabies included. (SPOT.ph) From opening an indoor dog park in Eastwood to maintaining a pet-friendly serviced residence in Circulo Verde, Quezon City makes sure that four-legged members of the family are always welcome in that part of the Metro. 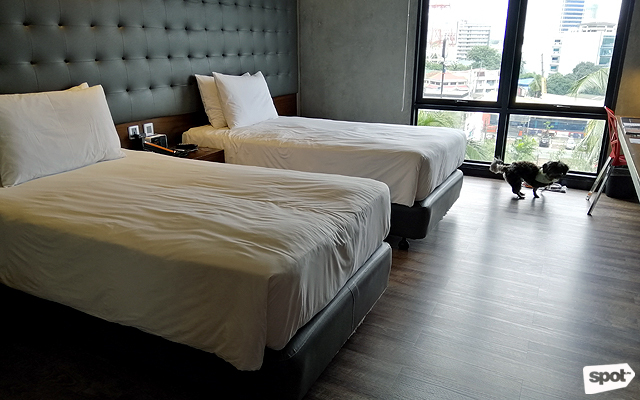 B Hotel – Quezon City, a boutique hotel by The Bellevue Hotels and Resorts, joins in on this campaign by opening its doors to our furry friends. The new pet-friendly policy was launched on September 1 with a well-attended dog show at the property's Grand Ballroom. Left to right: Jel Lagman-Villarin (Marketing & Communications Manager); celebrities Trina Legaspi, Michelle Vito, and Elisse Joson; Ryan Chan (Managing Director of B Hotels); and Oliver Esguerra (Hotel Manager) cut the ribbon to officially launch B Hotel's pet-friendly policy. 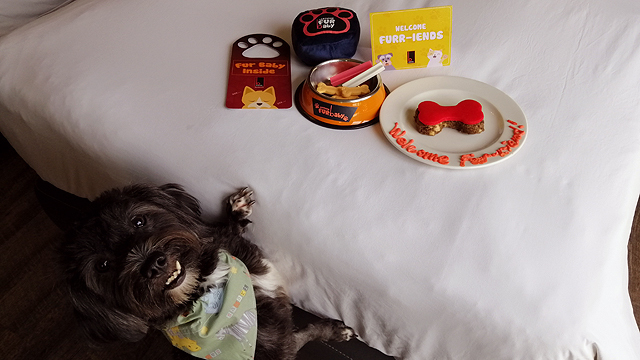 "Knowing that the hotel's genuine Filipino hospitality and world-class service is being extended to furbabies brings me great joy, not only as a hotelier and even more as a furparent. 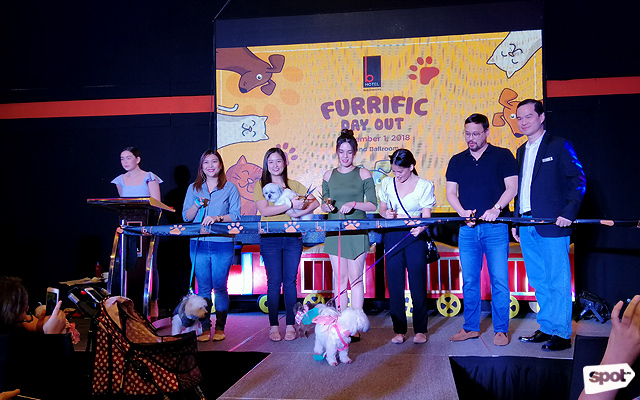 Because pets aren't just pets, they're family," shares Jel Lagman-Villarin, Marketing and Communications Manager of The Bellevue Hotels and Resorts during the event. Don't forget to bring your dog's favorite treats and toys! The Superior Room has enough space for your pet to roam. To check-in with your pets, just e-mail a fully accomplished Pet Agreement Form at least two days before your booking date. You also need to bring the essentials—leash and collar, your pet's sleeping bed or blanket, a play pen or a carrier, doggie treats, medicine, food and water bowl, wet wipes and tissue, towels, waste removal bags, pee pads and diapers, and your little one's favorite toy. It's like traveling with a baby, minus the crying. There's also a refundable security deposit of P5,000 per pet and a pet boarding fee (P1,000 to P2,000, depending on the room) on top of the overnight rates. You can bring in only two pets per room with a maximum weight of 10 kilos each, so you may have to play the favoritism game this time. B Hotel's One-Bedroom Suite features a modular kitchen, a king-sized bed, and a bathroom with bathtub and a separate shower area. 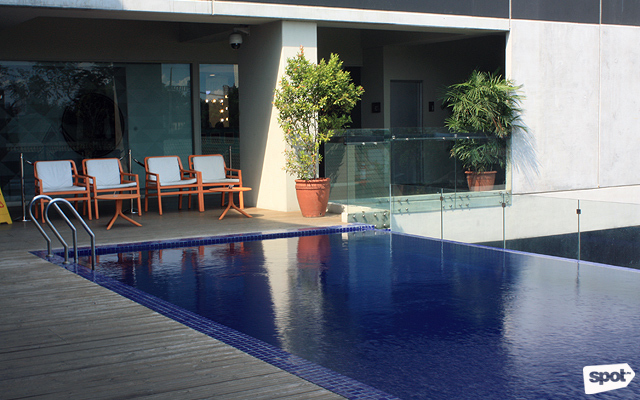 You can while the afternoon away at the hotel's swimming pool and pool bar. Requirements can be rigorous, but it's worth it once you've settled in and taking lots of selfies inside B Hotel's Instagram-worthy rooms. The property sports a stylish industrial design with exposed pipes, bike wheels, and chains as decor. 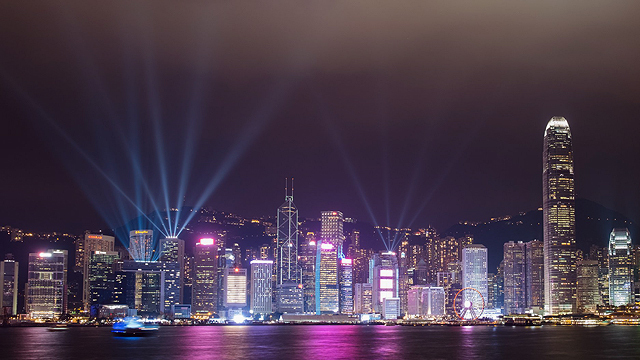 There are also framed images of vintage cars, historic buildings, and other urban settings that serve as accents for the unpainted walls. 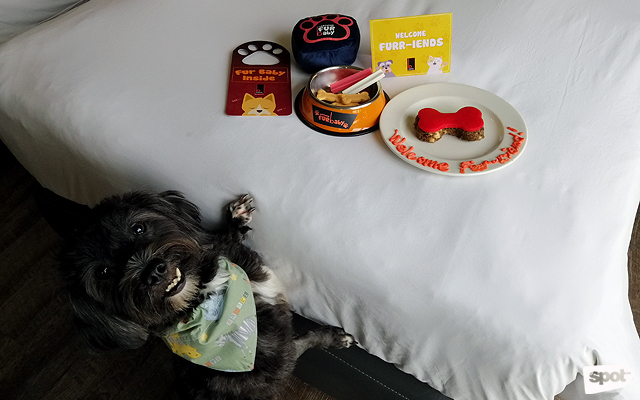 Pets aren't allowed in the food and beverage areas, but that just means you can enjoy in-room dining service from the comforts of your couch (and bed). Yes, this includes a delicious slab of angus beef from in-house Johnny's Steak and Grill. 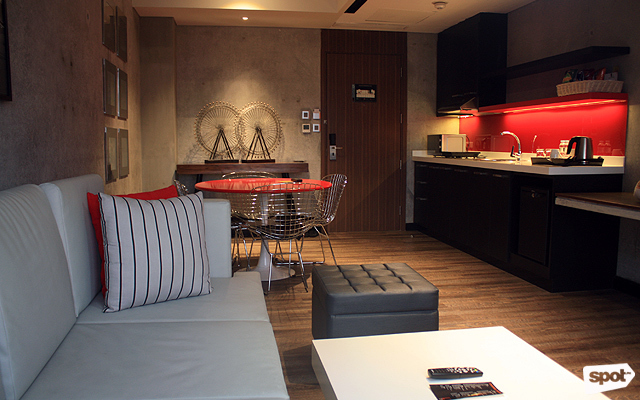 B Hotel – Quezon City is at 14 Scout Rallos Street, Laging Handa, Quezon City. For more information, visit B Hotel – Quezon City's website.